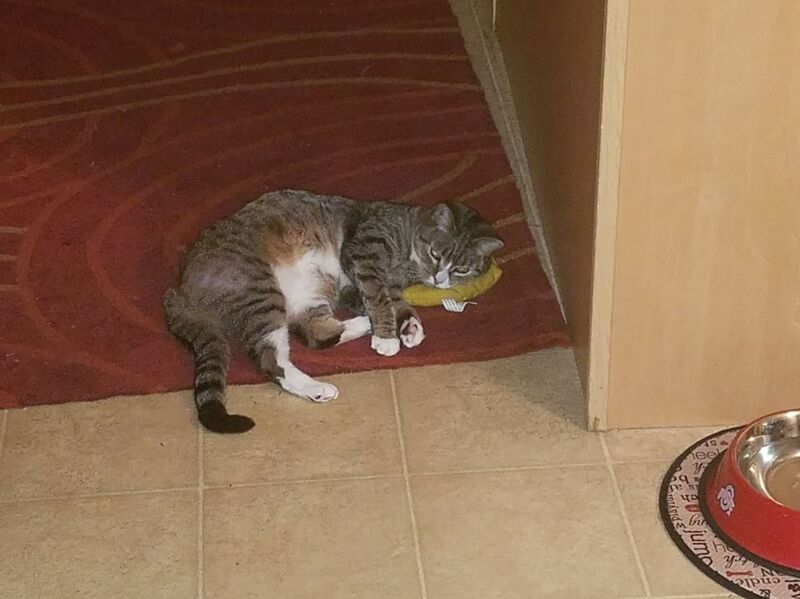 Here is QB using her catnip toy as a bed. A second ago she was playing with it, and now she seems really tired. She is just silly.